SEER stands for 'seasonal energy efficiency ratio' - it is a general standard that is being adopted by many countries to measure how efficient an air conditioning system is. It is also a great way to give more knowledge to consumers. When it comes to purchasing an AC system, knowledge really is power - before SEER ratings it was hard to know how much energy an air conditioning system put out according to how much it cooled down your home. 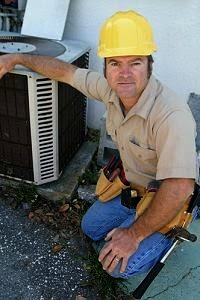 It was easy to wind up with an air conditioning system that was inefficient and caused your energy bills to spike. In some instances, an AC system with a high SEER will be more expensive, but it will certainly be worth it in the long run. Here is why SEER ratings are so important when buying an AC system. First, it is important to learn how central air conditioning systems work and how the SEER rating is calculated. Central air conditioning systems typically have a centralized unit that provides the cooling power - air ducts transfer this cool air throughout the home. A SEER rating is basically a ratio of how efficient your central air system is at providing this cooling power. Before the system hits the shelves, the total energy of the unit is divided by the cooling capacity. When it comes down to it, if a system has a high SEER rating, it is more efficient. A SEER rating is important because it can help boost your decision to purchase a certain unit. If you are concerned about energy efficiency, finding out what the SEER rating is of a central air conditioner is incredibly important. The higher the SEER rating, the smaller your carbon footprint will be. Units with a low SEER rating are less efficient and thus are more of an impact on the environment. Not only that, but a SEER rating is also important, because it will allow you to choose a unit that won't cause your monthly energy bills to skyrocket. Typically, air conditioning units with a higher SEER rating won't use that much energy and thus your utility expenses will be lower. If you are concerned about high energy bills, you may want to find a system with a high SEER rating. In some cases, you may be spending an exorbitant amount of money on utilities, so an AC with a high rating may be a breath of fresh air and a worthwhile investment. In the end, there are a number of reasons why the SEER rating, or seasonal energy efficiency ratio, is so important when you are purchasing a central air conditioning unit. Not only will it make you more informed about the unit's ability to save more energy and money, but it will also give you more confidence in knowing that you purchased the right system. One of the biggest contributors to global warming is the energy produced by air conditioners in the summertime, so being conscious about the energy efficiency ratio of your AC is also important for the sake of the environment.